Since starting this post, I've read and written and deleted some three dozen emails without even really thinking about it. I've got a smartphone and I'm tethered to my computer on a more or less permanent basis, so checking and dealing with email is as natural as breathing for me. I've got three different inboxes, and they all habitually sit at zero unread messages (okay, so maybe I'm boasting a little). So I took notice earlier this week when Facebook announced an it's-not-email-but-actually-it's-email-or-is-it email service. It's really hard to determine whether or not it's email in the traditional sense, but what's clear is the fact that it's a Big Deal. When a service with 500 million registered users introduces anything like this, it's a Big Deal whether you like it or not. In talking with friends and acquaintances, a common thread I'm picking up is the fact that people aren't really sure just what this Facebook announcement means, or what they're trying to do. To that end, I thought I'd whip up a quick post explaining Facebook's announcement in clear language, along with a little bit of editorializing and analysis to spice things up. There's some question as to whether Facebook's new thing is or isn't email - to be clear, it is email, but that's only a part of the equation. The fact that every single one of Facebook's 500 million users already has an email address means that it really can't just be email if it wants to succeed. You can now get an @facebook.com email address, if you want one, but the new service Facebook offers is more expansive than that. What Facebook wants to do is take all of your pre-existing email and IM accounts and put one seamless face on all of them. You might send a message to one person and they'd get it in their Gmail inboxes, but another person would get it in Facebook chat, and another person could get it on their phone as a text message. It serves primarily as a sort of communication aggregator - it purports to bring all of your different online identities into one place. The new service isn't brand-new at all, really - Facebook is just building more capability into its already-established Messages feature. What it's trying to do, really, is keep people from leaving Facebook to go to other sites. If you don't need to load up Yahoo! mail to check your email anymore, then why leave after you finish looking at pictures of that cute girl from your biology class? That's one of the reasons why this decision is a smart one for Facebook - not only does more Facebook usage equal more ad revenue, but it makes it harder for you to leave Facebook for somewhere else. Why would you go to Gmail if you're tied to Facebook for your contact list, or if you're addicted to its ability to keep track of your friends' preferred methods of contact? Facebook is also making a step into email to counteract steps into the social networking space by other companies, Google among them. No large Internet company wants to be boxed out by any of the other ones, and it's as simple as that. 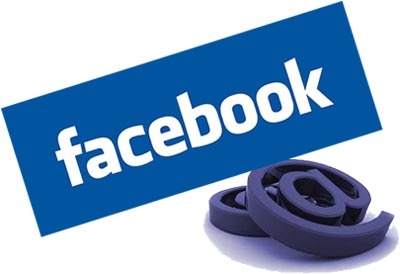 Facebook also has an interest in making itself a one-stop place for all of your Internet business so that it can continue to sell you on future products. The other big email providers - Google, Yahoo!, and Microsoft - are all doing this. Gmail features links to Google Calendar and Google Docs in the corner of every single page and basically strong-armed a bunch of people into opting-in to Google Buzz earlier this year. It all goes back to making people need Facebook. Will the new Facebook service be a success? As yet another entry into a super-crowded and well-established market, it faces an uphill battle, but one of Facebook's assets is its massive reach. If five percent of its user base signs up, that's twenty-five million users, which just about matches the number of people using Gmail right now. This one is obviously something to keep an eye on.